The 3 Sprouts Ice Pack is the perfect way to keep lunch your child’s lunch cold and fresh during the day, simply place it in their lunch bag! One hour in the freezer keeps the ice pack cold for up to 4 hours. Ice pack also does double duty as a cold compress - soothing minor aches and bee stings. 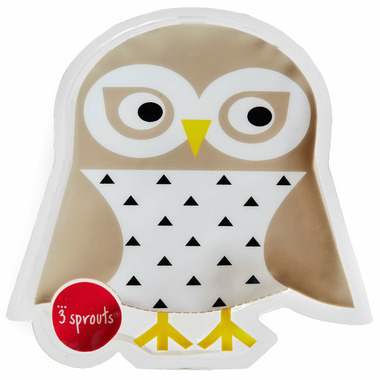 Filled with a non-toxic gel, the 3 Sprouts Ice Pack is ideal for ages 3+. Use with adult supervision. Not suitable for children under 3 years. This item is not a toy and is not intended for play. Gel is non-toxic and should not be consumed. Do not place directly on food. Throw away at first sign of damage, tear or puncture.